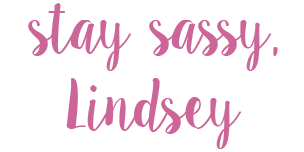 Sassy Southern Lindsey: Side Bangs Or No? It’s Monday, the beginning of a new work week! This is my last week in the office for my internship. The next two weeks I will be back in Stillwater for some conferences. This summer has passed by fast. I can not believe that it is coming to an end. I just feel like I hit a brick wall. This week was going to be my etiquette class. I was bringing in a lady from the etiquette school of Oklahoma and also having dinner at Sterling’s Grille. I only have ten people signed up at this time. I am disappointed because I feel like I promoted it well. I don’t want to cancel the class, but it might be the only option. Choices…life is all about choices. Needless to say, I am not my usual self. I am let down, and I just feel like no matter what I do, it is not going to make a difference. On a better note, one of my professors is going to visit me today. I always enjoy talking to her; she makes everything seem better. She is kind of like a mom; I feel at ease talking to her. Truly, that’s what an advisor should do. This photo was taken back in October, but you can see my straight across bangs. Pictured also, one of my best friends Kristin. She is the best! Also another choice—I am thinking about bringing back my straight across bangs. I go in for a hair appointment this Saturday. So I am thinking about something different. Side swoop bangs are a hassle, some days they look fantastic and others, not so much. Your thoughts?